The United States is not exceptional. Contrary to what American children are taught nearly from birth, the U.S. democratic system is not the global gold standard for representational government. While the Constitution guarantees basic rights and makes potent use of checks and balances, it also enshrines some strikingly undemocratic provisions that allowed authoritarianism to flourish inside America’s borders and exacerbate today’s polarized politics. That’s the assertion of political science professor Edward Gibson, who has extensively studied authoritarianism within democratic states. In the United States, Gibson explains, that norm has been kept in check by federalism — the distribution of power between the central government and regional states. Federalism was written into the Constitution by the Founding Fathers, who feared an overly strong central government and valued state autonomy. They also had regional deals to make, so they created the Electoral College and required each state to be represented equally in the Senate. That ensured that the less-populous Southern states wouldn’t be dominated by their northern neighbors or an overreaching central govern­ment. But it also disempowered voters in cities and population centers, and allowed states to legally deprive local citizens of basic rights enjoyed by people in other states. The Civil War settled the question of slavery, which federalism’s original design had allowed to exist in a self-proclaimed democratic country. However, federalism allowed brutally oppressive state regimes to regain power in the American South in the late 19th and 20th centuries, says Gibson, who explores the subject in his book Boundary Control: Sub­national Authoritarianism in Federal Democracies (Cambridge University Press, 2013). he stayed in office by ceding power to regional oligarchs. Likewise, the world celebrated the end of the authoritarian PRI federal government in Mexico in 2000, but autocratic state politicians still control much of the country today. Today, federalism continues to coexist uneasily with democracy in the United States. 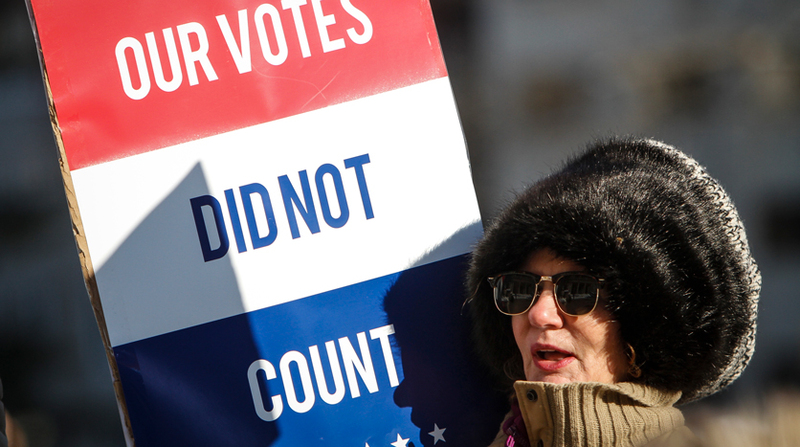 The Electoral College is also an “imperfect” reflection of the voting preferences of citizens in major population centers — and that, he says, is by design. Gibson says the nation needs to ask tough questions about the federal system it so reveres. “Is it adequate to the challenges of modern democracy? Are the protections that federalism affords to certain interests those that should be protected? Are majorities in this country being disempowered?